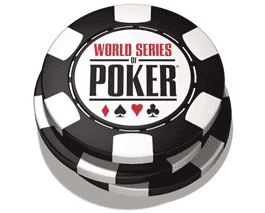 After more than a month of tournament, the World Series of Poker 2015 (WSOP) will close soon. The Main Event at $ 10,000 has actually started with a rather sad fall of attendance on Day 1A. With 1,716 registered players in Day 1B, the most famous poker tournament in the world has a total of 2,457 entries. To reach the field of 6,683 players of last year, it should expect to attract 4,226 participants from over on Day 1C which is rather unlikely. To come back to the course of the Day 1B, a small incident occurred in the Rio poker room. It was flooded after torrential rain that fell on the city of Las Vegas. The administration had to order the cessation of games for some time. After dinner, the game continues and at the end of the day, there was 1,154 players in the running. Hamiz Feiz is the chipleader and holds 182,675 chips in hand. Some well known players like Chris Bell, Matt Salsberg and Dominik Nitsche are also part of survivors for the Day 2 by holding a huge stack. But there are also many pros who have not survived: Dan Smith, Shaun Deeb, Scott Seiver and Allyn Shulman. To recap, the Main Event is the latest current events in Rio. The 67 other tournaments have all already published their results. The Event # 66, the Lucky Sevens No-Limit Hold'em at $ 777 buy-in with a field of 4,422 participants has recently ended with the victory of Connor Berkowitz. The latter also just won his first bracelet and his first WSOP cash in the amount of $ 487,784.